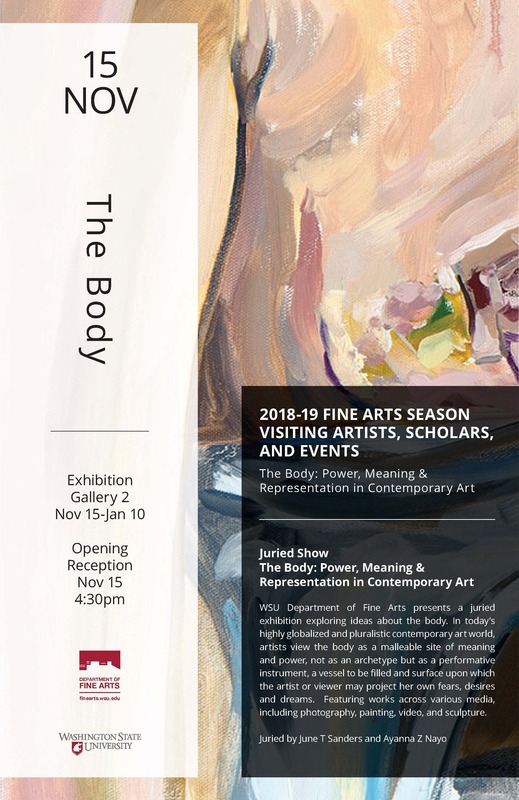 Washington State University’s Department of Fine Arts presents a juried exhibition exploring ideas about the body. While authority over the human body has long been determined by gender and class, in today’s highly globalized and pluralistic contemporary art world, artists view the body as a malleable site of meaning and power, not as an archetype but as a performative instrument, a vessel to be filled and surface upon which the artist or viewer may project her own fears, desires and dreams. Featuring works across various media, including new media, photography, painting, video, performance, sculpture, installation, and intermedia. 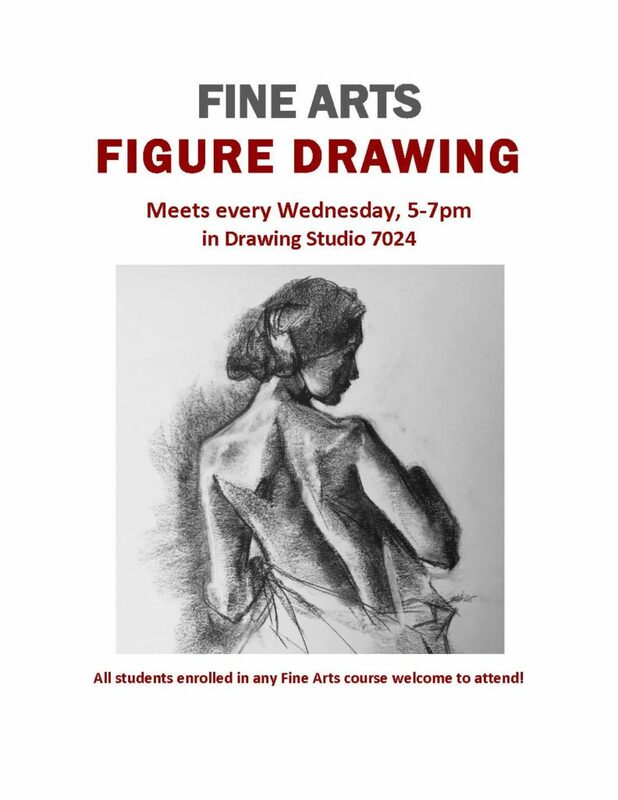 Selected artists: Robin Arnitz, Saskia Baden, Christy Bailey, Claire Brandt, Dylan Collins, Stephen Deffet, Nicole Jean Hill, Mari Nagaoka, Sophie Neslund, and Lydia Panas. Juried by June T Sanders and Ayanna Z Nayo.